Although known simply as the President, he is in fact the President General of the whole Ramakrishna Math and Ramakrishna Mission, and is respectfully referred to as President Maharaj by the monks and devotees. He functions chiefly as the spiritual head of the Order. One of the unique features of Ramakrishna Order, known as Ramakrishna Math, is that it traces its origin and source to the Avatar of the present age, Sri Ramakrishna. As a matter of fact, this monastic order serves as the main channel for the dissemination of the Avatar’s shakti and kripa, Power and Grace, for the welfare of humanity. 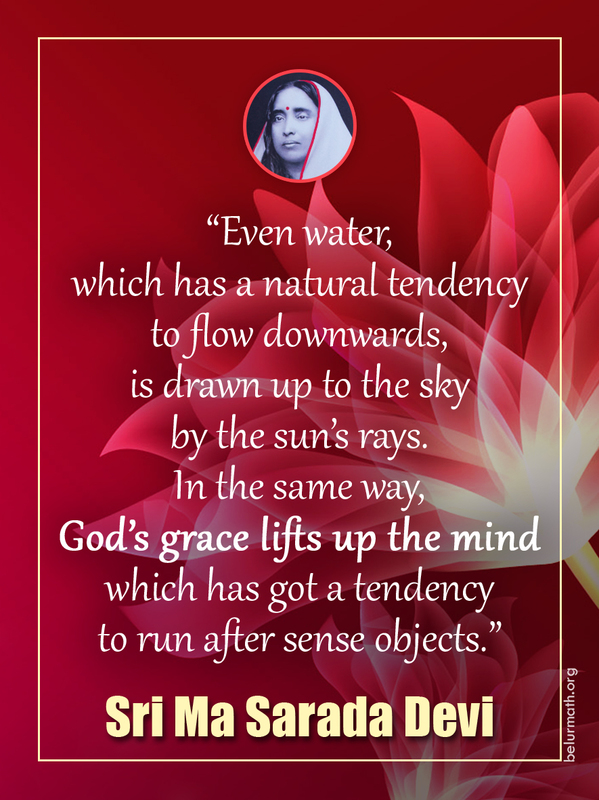 The flow of Divine Power and Grace is maintained by an unbroken lineage of Gurus, the guru-parampara. It is this unbroken spiritual tradition that is behind the succession of the Presidents of Ramakrishna Sangha. President Maharaj maintains this spiritual tradition through the process of mantra-diksha or Initiation. Through Initiation the original spiritual Power and Grace of the Avatar flows into the hearts of aspirants and awakens the dormant spiritual potential in them. At present the Vice-Presidents are also empowered to give spiritual initiation in India and outside India. In countries outside India some of the heads of the centres in those countries have been empowered to give spiritual initiation. All authority in Ramakrishna Math is vested in a Board of Trustees. It is by virtue of being the President of this Board of Trustees that President Maharaj becomes the head of the whole Ramakrishna Math. Since the members of the Board of Trustees also constitute the Governing Body of Ramakrishna Mission, President Maharaj is also the President of Ramakrishna Mission. Thus President Maharaj is the Head of both Ramakrishna Math and Ramakrishna Mission with all their branch centres and their headquarters at Belur Math. He came in contact with Mumbai branch of the Ramakrishna Order when he was about 20 years old. Inspired by the ideals of Sri Ramakrishna and Swami Vivekananda he joined Mumbai Ashrama in 1952 at the age of 22 and thus embraced monastic life. Swami Shankarananda ji Maharaj, the seventh President of Ramakrishna Order, gave him Mantra Diksha (spiritual initiation) in the same year. He also received from Swami Shankarananda ji Maharaj, Brahmacharya vows in 1956, and Sannyasa vows and the name ‘Swami Smaranananda’ in 1960. From Mumbai centre, he was transferred to Kolkata branch of Advaita Ashrama, which is well-known for its publications, in 1958. He served at both Mayavati and Kolkata centres of the Ashrama for 18 long years. For a few years he was the Assistant Editor of Prabuddha Bharata, the English journal of Ramakrishna Order started by Swami Vivekananda. He also enthusiastically worked to improve the standard of publications of Advaita Ashrama, which received a lot of appreciation. He was posted to Ramakrishna Mission Saradapitha, an educational complex near Belur Math, as its Secretary in 1976. During his long tenure of about 15 years there, educational and rural welfare work of Saradapitha saw tremendous development. He, along with his monastic assistants, took up extensive relief operations during the devastating flood in West Bengal in 1978. From Saradapitha he was posted to Ramakrishna Math, Chennai, as its Head in December 1991. He was appointed a Trustee of the Ramakrishna Math and Member of the Governing Body of the Ramakrishna Mission in 1983. In April 1995, he joined the Headquarters as an Assistant Secretary, and after about two years, he took charge as the General Secretary of the twin organizations. As the General Secretary, he steered the worldwide Ramakrishna Movement for ten long years until May 2007 when he was elected a Vice-President of the Order. As General Secretary and Vice-President, he travelled extensively in India and different parts of the world and visited the branches of the Math and Mission and also unaffiliated centres in those places. Through those visits he endeavoured to spread the message of Sri Ramakrishna, Sri Sarada Devi, Swami Vivekananda and Vedanta among a vast number of people. He also gave Mantra Diksha to many spiritual seekers. He has contributed a number of articles to various journals of Ramakrishna Order. Swami Smaranananda ji Maharaj was elected the President of Ramakrishna Math and Ramakrishna Mission at the meeting of the Board of Trustees of the Math and the Governing Body of the Mission held at Belur Math on 17 July 2017. He is the 16th President of the Order.